There’s nothing more heartbreaking than seeing your child in pain, and most parents would do just about anything to take away the pain of teething. From massaging their gums to offering them a fridge-chilled spoon to chew on, there are numerous ways to relieve the pain of cutting teeth. But there’s one thing parents should avoid doing. According to the FDA, parents should refrain from using homeopathic teething tablets and gels. In a statement, the agency warns that these remedies may pose a risk to infants and children. In 2010, the agency released a safety alert about homeopathic teething tablets (specifically, Hyland’s Teething Tablets). Now, the FDA is analyzing health issues reported since then. “Consumers should seek medical care immediately if their child experiences seizures, difficulty breathing, lethargy, excessive sleepiness, muscle weakness, skin flushing, constipation, difficulty urinating, or agitation after using homeopathic teething tablets or gels,” the FDA said. The agency notes that homeopathic teething tablets and gels have not been approved by the FDA. Furthermore, the products have not been shown to yield any proven health benefits. 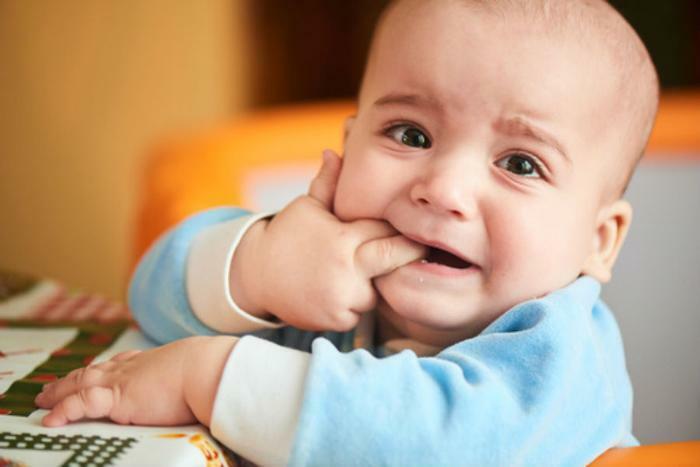 The pain of teething can be managed in other ways, says Janet Woodcock, M.D., director of the FDA’s Center for Drug Evaluation and Research. Instead of obtaining a prescription or seeking out an over-the-counter remedy, Woodcock says parents and caregivers should “seek advice from their health care professional for safe alternatives." Chilled washcloth. A clean, wet washcloth can be put in the fridge and left to chill. Inflamed gums may become a little less angry as babies chew on the cold cloth. Teething jewelry. Grabbing mom’s jewelry is a favorite pastime of most babies. Teething babies can gum away on jewelry by companies such as Smart Mom Jewelry. The FDA-approved silicone the jewelry is made of is free of phthalates, BPA, PVA, latex, and lead. Distraction. Give your baby some temporary relief from their discomfort by employing distractions, such as a game of peekaboo or a warm bath. Chilled teether. Purchase a solid or liquid-filled teething ring, then place it in the fridge for 15 to 20 minutes. Like chilled washcloths and spoons, these toys can help soothe your baby’s aching gums. Carrot. A full-sized carrot, when washed and peeled, can act as a teething tool. If you don't have a carrot on hand, try freezing a banana and letting your baby gnaw on it.